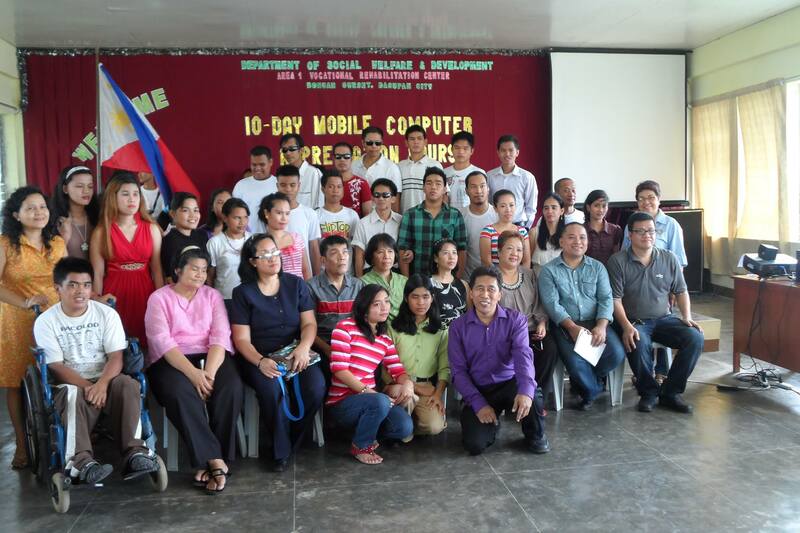 A 10-Day Training on “Mobile Computer Appreciation Course” was conducted in partnership with the Adaptive Technology for Rehabilitation, Integration and Empowerment of the Visually Impaired (ATRIEV). This is in line with AVRC’s thrust to enable the PWDs achieve equal opportunities to compete in today’s rapidly changing socio-economic conditions. Twenty-seven (27) PWD trainees and trainers participated in the said activity which exposed them to Basic Computer Course. Likewise, they were given opportunities to explore other learning insights using Computers. The training was held on June 10-21, 2013 at AVRC1 Conference Room with Mr. Antonio D. Llanes Executive Director of ATRIEV as the training facilitator.